The Oiler Movement is a community of natural health and toxin-free living enthusiasts. As "Oilers" and doTERRA wellness advocates we are committed to transforming the health of others on a mental & physical level through the power of essential oils and other plant-based products. Led by Ciaran & Linda Sampey, The Oiler Movement is now one of doTERRA's largest European teams with leaders across the Republic of Ireland, United Kingdom & Portugal. An "Oiler" is someone who knows how to use medicinal grade essential oils to take control of their mental and physical well-being. They use essential oils to lower stress levels, improve their oral hygiene, green clean their house, boost their immune system when it is under attack, elevate their skincare regime, detox their bodies and even flavour their food! They use essential oils to fall asleep, to clear their airways, to lower inflammation and to uplift their mood. You will generally see them drinking citrus oils in glass water bottles or applying oils at work to concentrate. Sometimes they will pop a peppermint beadlet to settle their stomach after a meal or to give themselves an energy boost before they head on a long drive. They use cold vapour diffusers instead of traditional oil burners because they want health benefits from aromatic use not just a nice smell. They like to try out new DIY products with their oils, from skin serums and room sprays to baby wipes and mouthwashes. They don't burn candles or spray chemical air fresheners anymore because they know the toxins released in the air will harm their families. They have oils in their bathroom, oils in their bedside lockers, oils in their kitchen and oils in their car! They always have at least a key chain full of small oil bottles when they leave the house and they think no diaper bag is complete without some oil roller bottles diluted for their babies many needs. They prioritize health and value quality. They are not perfect but they strive to remove toxins from their life wherever they can and are always looking for new areas they can learn about and improve! A true doTERRA oiler also knows how to get the vast majority of their oils for free with the most incredible loyalty program in the world! For those oilers who find they can't stop sharing their oils with friends and family, they often end up getting all of their products paid for or in some cases to build an entirely new career out of it! 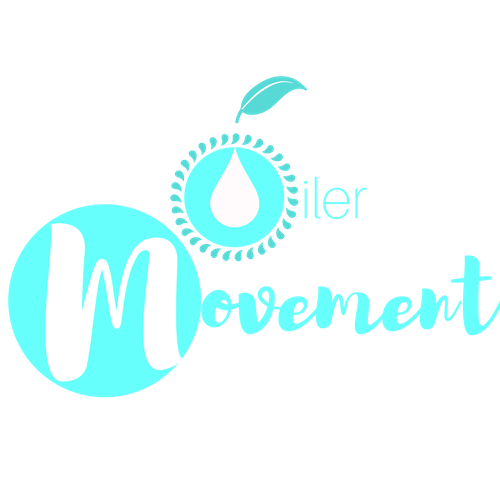 The Oiler Movement Team provides free introductory classes on how to become an "Oiler" & advises people on the different options they have to get the best value medicinal grade essential oils. Once you become part of our customer community you can continue to receive continuing education and support on the products and enjoy a healthier more empowered life as an Oiler! We run online and offline programs and events to keep the education part of what we do the main focus! As the team continues to grow, we are also looking for entrepreneurial-minded people who have a passion for natural health and empowering others. You may want out of the corporate world or a better family work-life balance like Ciaran & Linda did. Or perhaps you have another business that you feel the oils would fit nicely into. One thing that sets our team apart is our ability to find, train and coach new business partners. With a combined background in sales & marketing as well as life coaching, we have been able to use that experience to grow our team with a cold market, event centred approach. This is very good for people who don't want to rely on their own contacts or natural networking abilities alone. For those who want help with strategies of how to incorporate the oils into an existing business, this is another area we excel at. To date, we have specialized heavily on the beauty & massage industry and are now moving into yoga and nutrition fields as well.